FastFix interface for all FastFix attachments and CENTROTEC rapid tool-change system. Impressive ergonomics: compact, lightweight and perfectly balanced. Fully electronic torque setting and switch-off for precise screwdriving. 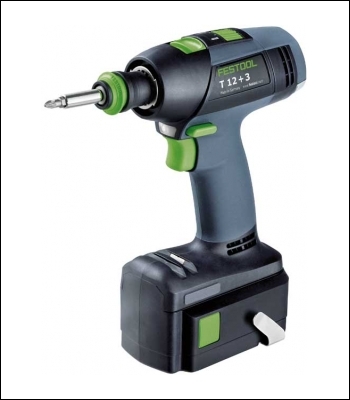 Switchover from screwdriving to drilling without changing the set torque. Latest Lithium-ion battery technology for the longest sustained usage. Brushless EC-TEC motor with integrated motor management for long service life and the highest output. Highest flexibility and economy: Battery packs in same voltage class can be used. Furniture assembly and kitchen fitting. Carpentry/Joinery and interior fitting. Trade fair/Metal construction and shopfitting.